I’m not gonna lie to you – I just wanted to be the first person to post these. So this post is incomplete and sloppy and not up to my own standards. But… my competitive side got the best of me on these. Now down to business. Have you seen these yet? I saw them over the weekend and wanted to go home and try to make them immediately. However, I wanted to make them with chocolate cookies instead of the golden ones. I messed these up the first time around and sadly, I did not grab any post-worthy photos of the non-messed up ones. So, the above picture is all I have for you right now – but I promise I will make these again and get better pictures for your viewing pleasure! 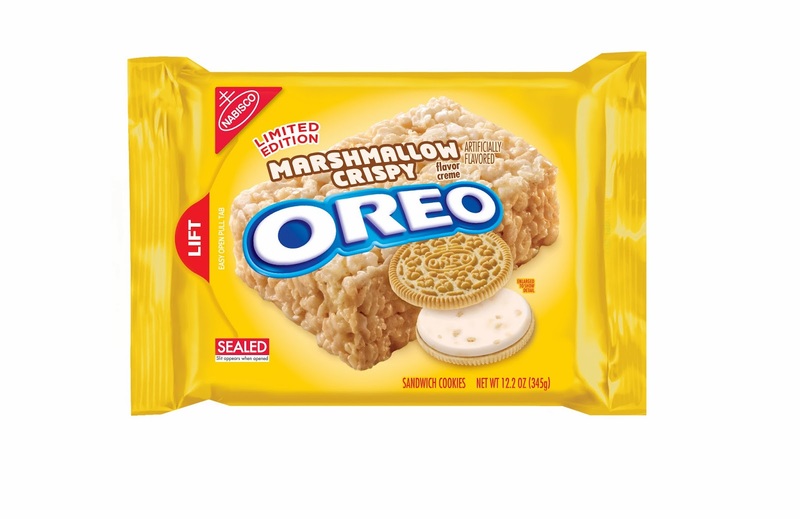 What you’ll notice in the above picture is that the filling doesn’t look like clean little disks like real Oreos – this was my mistake in the first round. I didn’t put the filling in the fridge to set the first time around, and it got a little melty and hard to work with. In turn, not as pretty for the final product. But that’s okay. We all make mistakes. 1) Preheat oven to 325° F. Line two (maybe even more!) baking sheets with parchment paper or non-stick silicone baking mats and set them aside.1) In a medium bowl, combine melted butter and sugar until just combined. Using a whisk or the lowest setting on your mixer, whisk in the egg, vanilla, melted chocolate and stir until well combined. 2) In another medium bowl, combine flour, cocoa powder, salt, and baking soda. Stir dry mixture into the wet mixture until no lumps remain and you have a dough that isn’t too wet. If you roll out the dough and it seems to wet to work with, add a small amount of flour and work it in with your hands, and then try again. 3) Place dough between two pieces of parchment paper and use a rolling pin to roll the dough out to be 1/4″ thick. You’ll probably need to divide the dough in half and place it on two different baking sheets. Place the baking sheets in the fridge for a few hours so that the dough becomes firm and easier to work with. 4) Remove from fridge and use a 2-inch round cookie cutter to cut out dough and place on prepared baking sheets about an inch apart. They won’t spread much, but they will puff up a little bit to be more of a rounded disk. 5) Bake for 10-13 minutes or until cookies are set. It’s hard to tell since they’re a nearly black dough to begin with, but if you lightly touch the top of the cookie it shouldn’t depress much and that’s a good sign that it’s time to remove them. They’ll fully set once removed from the oven. Let cool on baking sheets for 5 minutes and then transfer to cooling racks to cool completely. 6) While cookies are cooling, prepare the filling. In a large bowl, mix powdered sugar, butter and vanilla on a medium setting until well combined. Carefully stir in cereal until as evenly distributed as possible. 7) Place the filling dough between two pieces of parchment paper and use a rolling pin to roll the dough out to be 1/2″ thick (or thicker, if you want more of a “Double Stuffed” Oreo! This may require upping the amount of your ingredients). Divide the dough in half (same as before) and place the baking sheets in the fridge for up to an hour so that it is easier to work with. 9) I don’t think I need to explain this in great detail, but for the benefit of those of you who might be overtired or tipsy… grab a cookie disk and flip it so the flat side is facing up, place a filling disc on top (or two, or ten), and place another cookie disk (flat side down) on top of that. Voila! 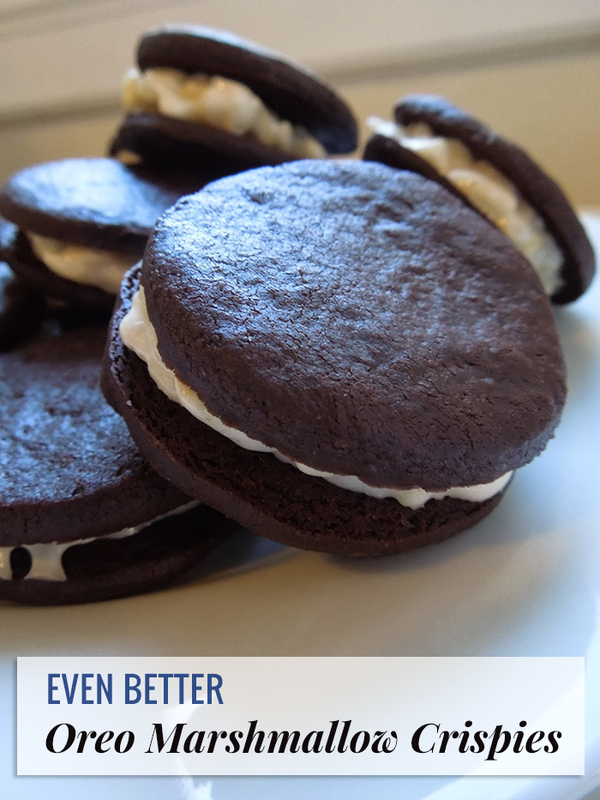 You now have homemade Oreos. Enjoy!